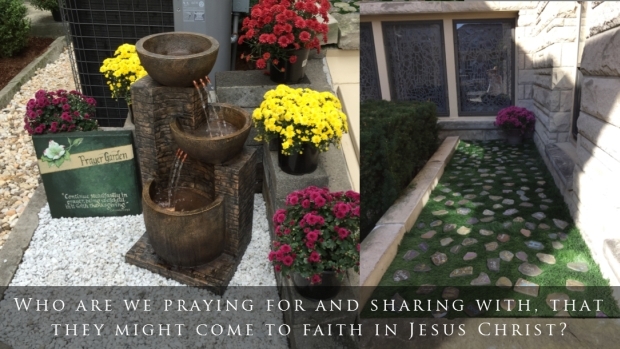 Last Fall, we transformed our extra space between buildings into a quiet prayer garden. At our Fall Kickoff, we wrote the names of people we were praying for, that they would come to saving faith in Christ. We populated the garden with these rocks and continue to pray for these people. 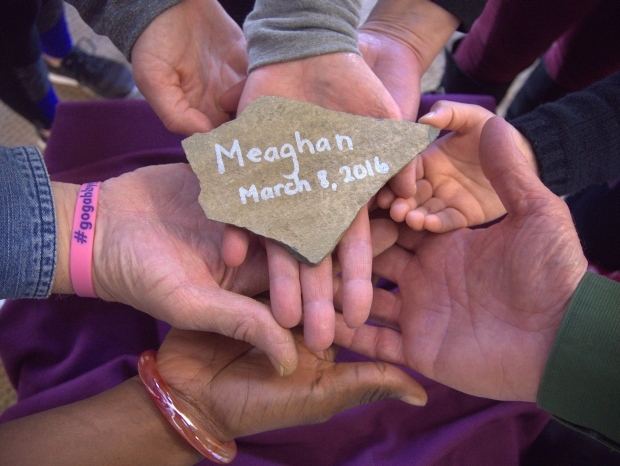 On March 8, 2016, God answered prayer for one of those people as He turned Meaghan’s heart toward Himself. 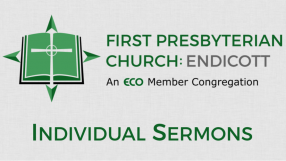 We celebrate with the whole Church when a lost child comes home!